I love finding inspiring layout themes – or actual layouts – that don’t require a lot of real estate, yet provide interesting modelling and operating possibilities. 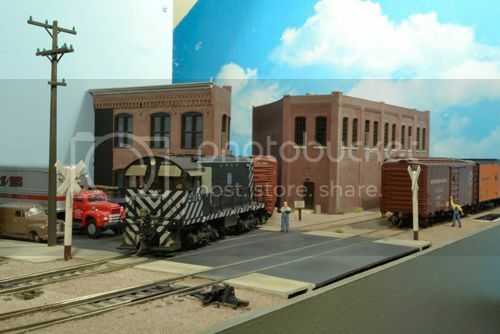 One such layout is Keith Jordan‘s HO scale layout of a switching district on the ATSF known as “The Patch”. I offer more information about Keith’s excellent layout – including why I like it so much – on my layout design blog. Click on the photo of Keith’s rendition of The Patch below to read more – and enjoy if you visit. This entry was posted in Achievable Layout Examples, Beyond Port Rowan in S by Trevor. Bookmark the permalink.